Newly-released body camera footage from a police interview with Former Browns Safety Jabrill Peppers shows that the January incident where his gun was stolen was actually the second time he had a vehicle broken into. CLEVELAND — Newly-released body camera footage from a police interview with former Browns safety Jabrill Peppers shows that the January incident where his gun was stolen was actually the second time he had a vehicle broken into. The footage was captured on Jan. 29 and is regarding the break-in of Peppers’ 2014 Range Rover inside a parking garage on East 12th Street. According to police, a bag with Peppers’ jersey number was taken along with a Glock handgun, Prada sunglasses and an iPad. In the video, Peppers said he left the gun in his car and later found that the Range Rover had been broken into. According to Peppers, he locked the vehicle before he left, but sometimes his trunk doesn’t lock. Peppers told the officer that he wasn’t aware of any security cameras in the garage where his vehicle was parked. When going over what was taken from the vehicle, Peppers tells the officer he knew it wasn’t a “professional job” because the thief didn’t take any of the designer items he had in the vehicle. “If you look inside, I had all this stuff. He left my Gucci, my Louis (Vuitton). I had money in there,” Peppers said. The officer responds by telling Peppers that in his experience, most thieves grab the first thing they come across. While talking to the officer about what was stolen, Peppers said this was the second time his vehicle was broken into — the first time was while he was visiting Michigan. Peppers told police he wasn’t worried about the other items, he just wanted to report to police as soon as he knew that his firearm was taken. 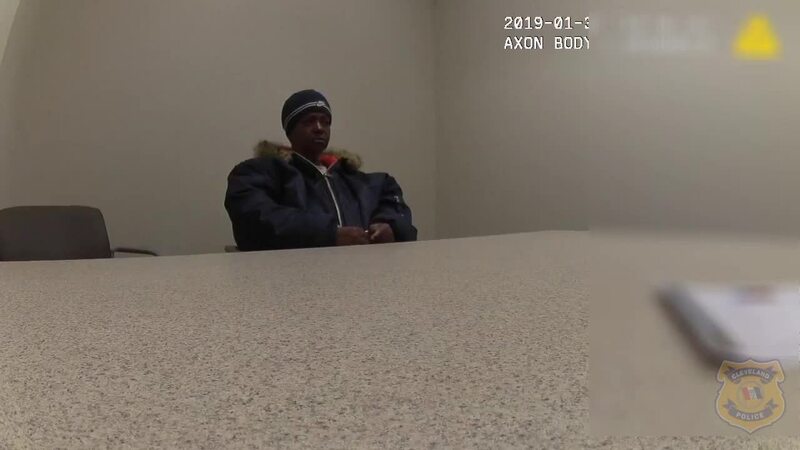 A second body camera video filmed two days later in an interrogation room shows a Cleveland police officer interview a suspect who they say took Peppers’ belongings. The suspect, 57-year-old Marsha Carroll, confesses to police in the video that she went into Peppers’ unlocked car, took some money, an iPad and a bookbag which she later sold for $5. She denied taking the missing gun. A week later, Carroll was found beaten, taken to a nearby hospital and later died. A 26-year-old man named Deointa Campbell was arrested and charged with murder and felonious assault for Carroll’s death. A Cleveland police spokesperson told 5 On Your Side investigators last month that Peppers is not a suspect in any investigation, only a victim of theft. An internal investigation is taking place regarding police handling of the theft incident. Following the incidents, Cleveland police turned over documents to the NFL, at the league’s request, related to the former Browns safety, his stolen gun and Carroll’s homicide. Peppers is not a suspect in the homicide, police say.